to convert to Islam and spit on a Cross. One of the major themes explored in Martin Scorsese’s film, Silence, is the question of how to respond when faced with a choice between denying one’s faith or facing death. Christians in 17th century Japan were given this choice, and it’s the same for Christians in many parts of the world today. Throughout the film, the audience is shown Christians being told to step on – or, in one case, spit on – an image of Jesus or Mary. Some do; others can’t. This same choice was given to Zarefa, an elderly Iraqi Christian woman, when the Islamic State captured her town in 2014. During a raid on the house where she was staying, IS fighters found a few crucifixes and other Christian images – strictly illegal under IS rule. 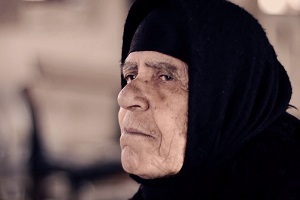 The shame is still visible on Zarefa’s face when she recounts the memory; her town, Qaraqosh, is liberated now, but she is still recovering from the traumatic two years that are only just behind her. Zarefa’s husband died shortly after Qaraqosh was captured. She remembers the warning signs in the days beforehand, when a group of teenagers on motorbikes chastised her for speaking in Syriac – a language closely related to the Aramaic that Jesus spoke. “Speak our language!” they shouted, in Arabic, the language of Islam. 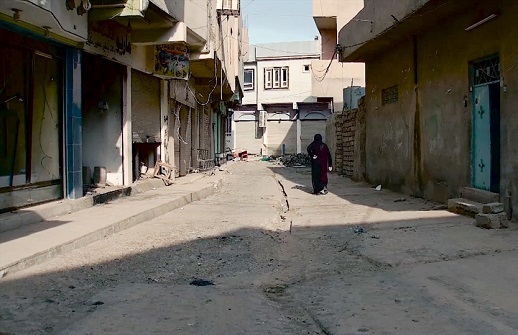 By that time, many families had already left Qaraqosh, after IS had overpowered and completely overrun the Iraqi army, leaving the Christians unprotected. For Zarefa, running was no option. Her husband was dying and she had no enemies in the town; she thought the two of them would be left in peace. of the few Christians who decided to stay in Qaraqosh. But Zarefa soon found out there is no such thing as living in peace under IS rule. She shared how, soon after IS came, her husband passed away, leaving her a widow and more vulnerable than ever. She moved in with neighbours, but IS fighters repeatedly harassed them and robbed all of the valuables they could get their hands on. And not just valuables. “One day, the man whose house I was a guest in never came home. Some people said he was killed and buried in an open area. Others said that he fell in a hole. Another one said that only God knows what happened to him. The fact is that we have not seen him since,” Zarefa recalls. From then on it was just the two elderly, single women left. As soon as IS found out about them, they told the women to move to nearby Mosul. Frightened, Zarefa says she “quickly told them that I had”. After a few days, Zarefa and her friend managed to return to Qaraqosh as “Muslim” women, but when they arrived, they found three IS soldiers waiting to question them. begged IS not to make her convert to Islam. The leader of the group got angry, drew a gun, pointed it at Zarefa’s heart, and threatened to kill her if she didn’t convert to Islam. But that was not enough; the harassment continued. Zarefa says different IS fighters continually came to their home and demanded money and valuables at gunpoint. When they had taken nearly everything and she was left almost bankrupt, she hid her last savings – the equivalent of 250 dollars – in her bra. But even that was discovered. Today, 18 January, the Iraqi army has announced that it has recaptured “vast swathes” of Mosul east of the Tigris River, which runs through the city. The army says it’s now preparing to fight to retake the area of Mosul west of the Tigris. 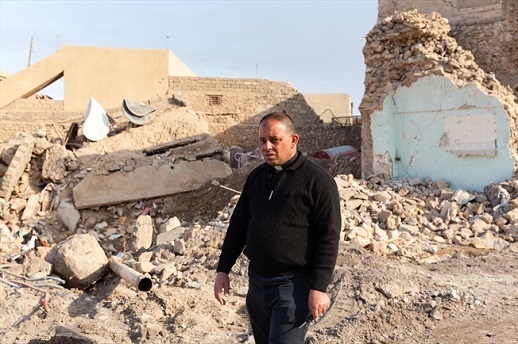 Despite ordeals such as Zarefa’s, Iraqi Christians who fled outlying towns like Qaraqosh (east of Mosul) when IS came in 2014 are “eager” to return home, according to one young Christian in Karamles. “We are eager to return to our liberated areas,” Valentine told Al-Monitor. Fr. 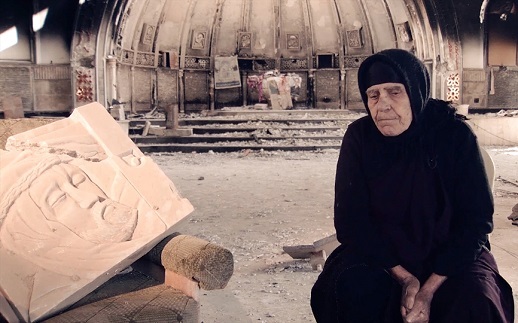 Thabet Habib, who pastors a church in the town, added: “The time has come for Christians to return to the liberated areas in Nineveh Valley, now that the military operations have ended.” Though he admitted the return will be “gradual”. World Watch Monitor reported in December that the conflict with IS had left thousands of homes uninhabitable. The devastation in Karamles has created a ‘mounting feeling of hopelessness’, according to Fr. Habib. Fr. Habib said as much as 80% of the infrastructure in the Hamdaniya district, where Karamles is located, had been destroyed. But one resident, Sara Bahnam, told Al-Monitor she is desperate to return home. “We are sick and tired of being displaced and paying rent in recent years. I will be the first to return to Hamdaniya and to my house, whatever the obstacles,” she said. Meanwhile, a US bishop has said that the Syriac Catholic Archbishop of Mosul told him he is against the construction of a “safe corridor” for religious minorities in Iraq. Bishop Oscar Cantu told the Catholic News Service that Archbishop Yohanna Moshe told him: “We don’t want to live in a ghetto. That is counterproductive. That makes us a target for our enemies. We have to live in a secure but integrated community where Chaldean Catholics, Syriac Catholics, Sunni Muslims, etc., have relationships with each other.